We promised that Aalayam would get bigger and better and today we take you on a global escapade of sorts! My husband and I are back from a trip to France. Yes! The trip of a lifetime, really! 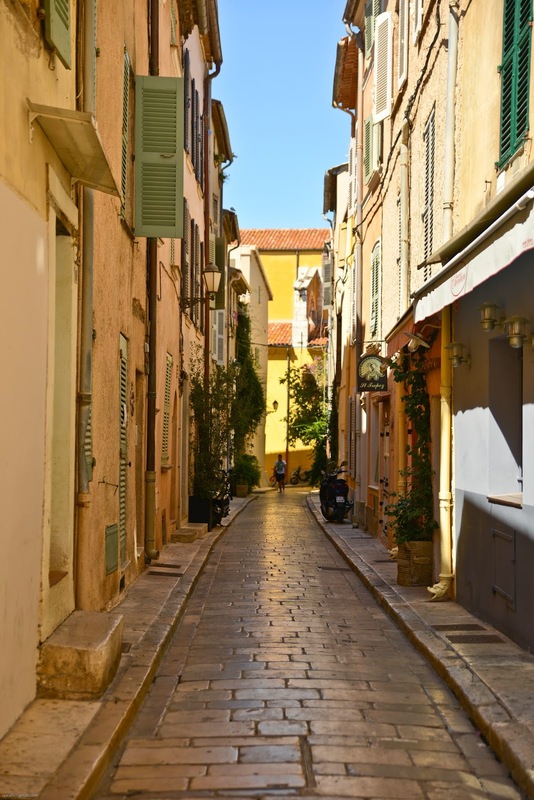 When we started planning for a summer vacation last fall we unanimously agreed on France, for different reasons perhaps.. still, France was an easy decision. I had heard of the saying - "everyone has two countries - his or her own and then France" and I know now that it is actually true. 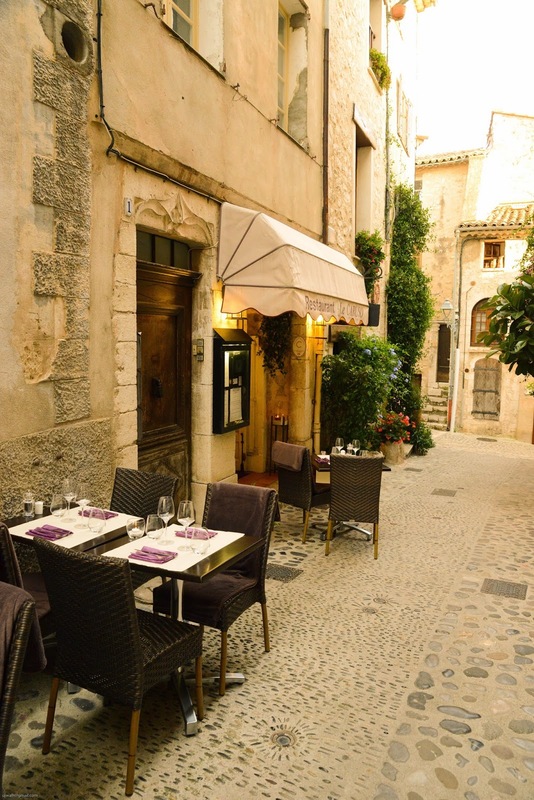 I am spellbound by the bistro/cafe culture, sun-drenched village squares, abundant gardens, soul-stirring stamps of gothic, baroque and belle époque architecture, romantic Seine, in -your-face fashion and cultural footprints at every corner. Our trip was rousing and unforgettable! I hope to bring you France or at least parts and provinces as UJ and I experienced it via pictures and posts. Despite stretching our legs (quite a bit!) 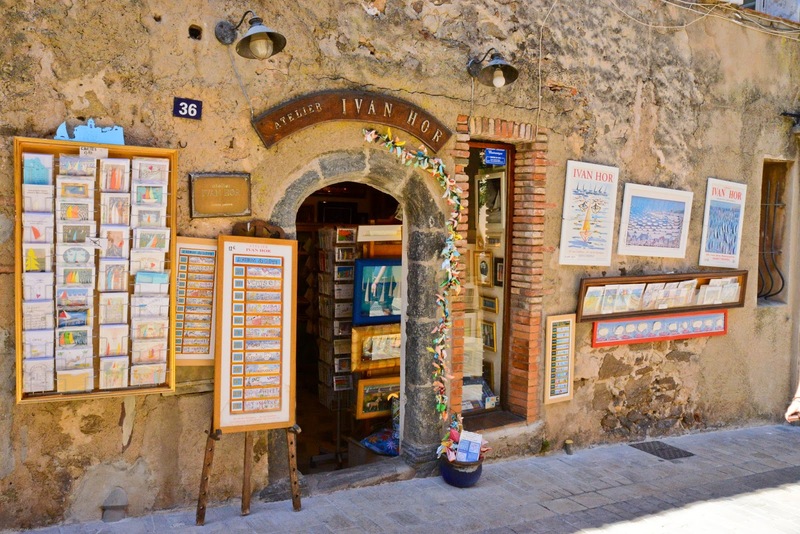 and checking off most things on our itinerary, France left us wanting for more! 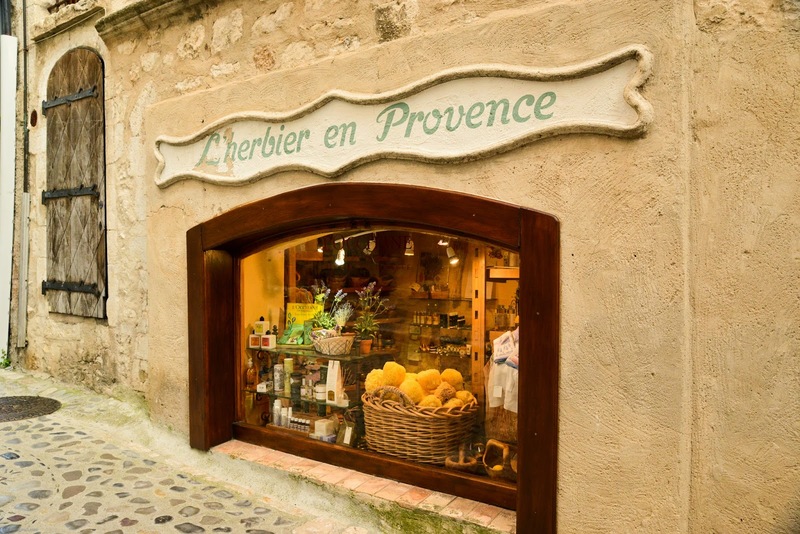 Today, I kick off Aalayam’s France extravaganza with Provence. As we planned our vacation itinerary, we did save the very best for the last. 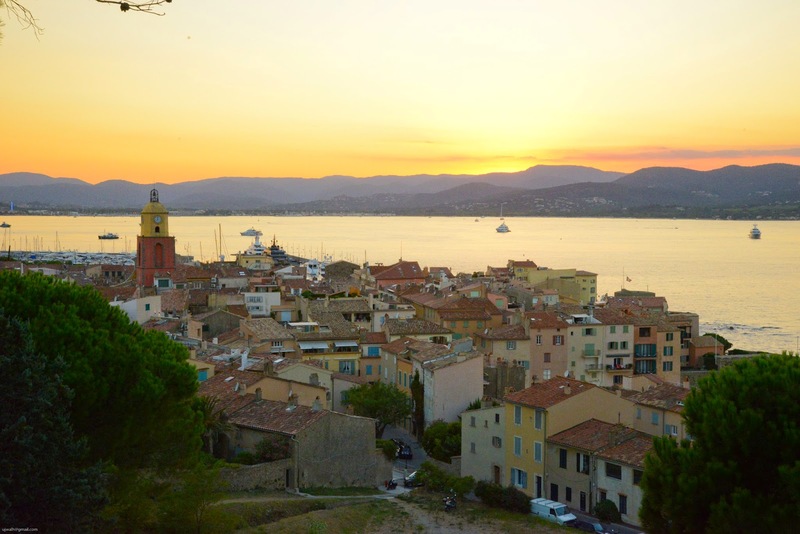 A drive along the Cote D' Azur, taking in the mighty stretch of the French Riviera all the way from St. Tropez to Monaco and stopping in quaint Provencal towns, primed with prospects, was a dream come true for travel enthusiasts like ourselves. This was the last part of our 10-day vacation and we sure did make the most of it! 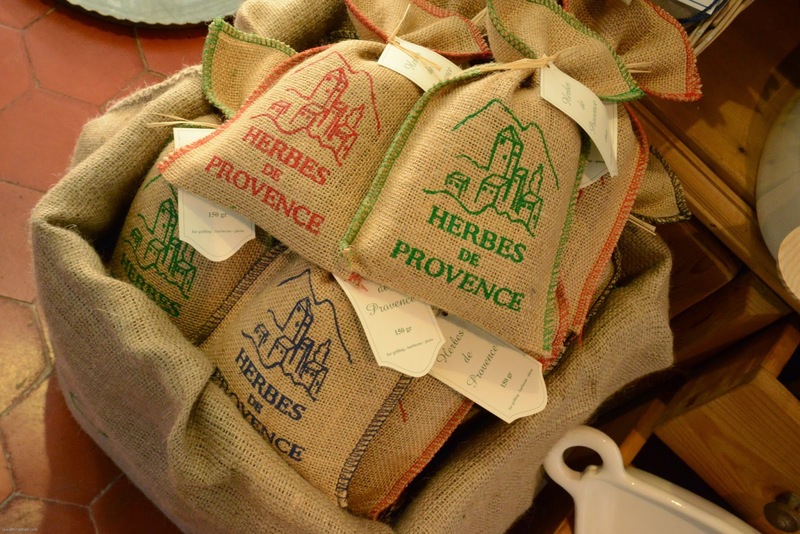 I hope to do five feature posts (though not consecutively) and cover Provence, the French Riviera, Loire Valley, Paris. There will also be a post on French Chic! So, stay tuned Aalayam readers as we bring global culture right to your doorstep. Sadly, we skipped the Lavender Route – blooms last till mid-late August and we were late by a few days (will probably have to go back for it someday!) 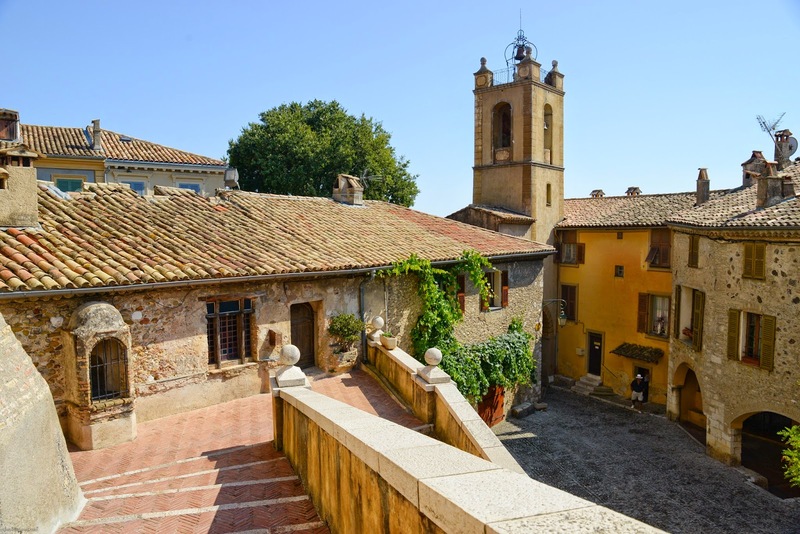 but instead experienced Provencal life via picturesque hilltop villages perched high on the cliffs along the sparkling Mediterranean. 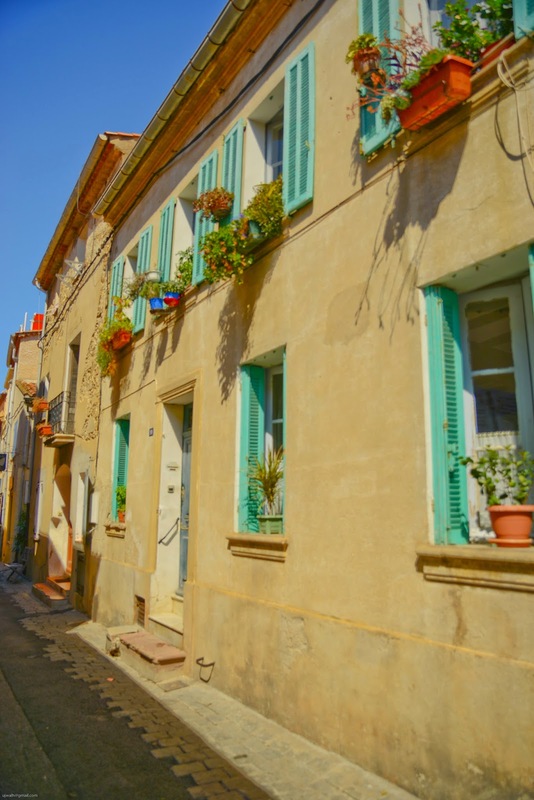 From the game of Petanque played in dreamy village squares to crisp and food friendly Rose wine to vibrant street markets – we uncovered the real Provence by talking to friendly locals and asking lots of questions! 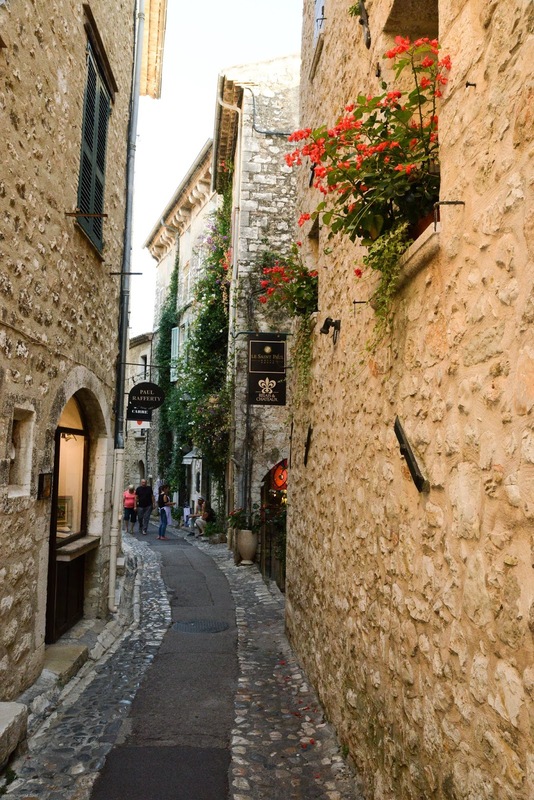 We made stops in 3 interminably alluring villages – Grimaud, Haute De Cagnes and St. Paul De Vence where many of the images for this post come from. 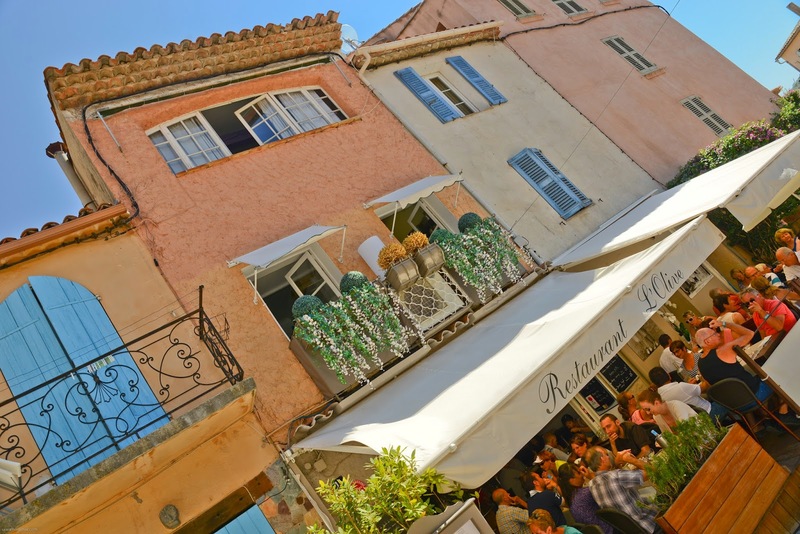 When in Provence ask for Rose wine – the locals prefer this to white wine we were told (by a local wine steward). 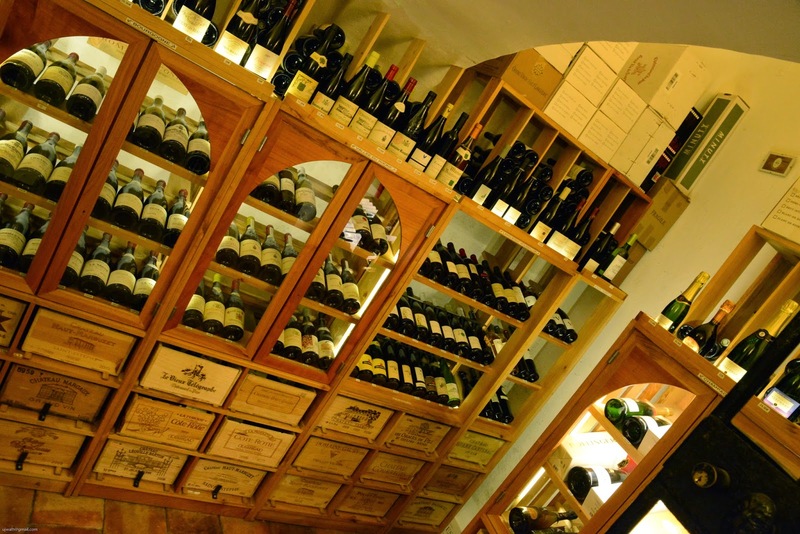 It is an utterly versatile wine that reportedly pairs well with most foods. We learnt that the rose color is because of the shorter duration of contact of the skin of the red grapes with the wine! In the backdrop of the sun setting over the gleaming Mediterranean, the rose indeed tastes heavenly! The English call it Lawn Bowling, the Americans call it bowling, the French call it Petanque – a form of boules where the goal is to throw metal balls as close as possible to a wooden ball called cochonnet (source: Wiki). 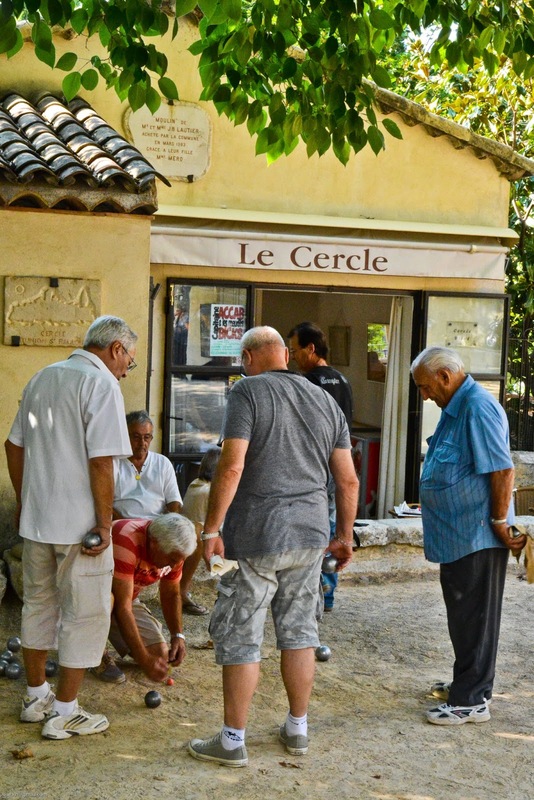 The click of metal balls in sun-bathed village squares is now a part of my Provencal nostalgie! In addition, the ramparts of these villages offered moving views of the sea, sky and the mountains making me wish that time would stand still! 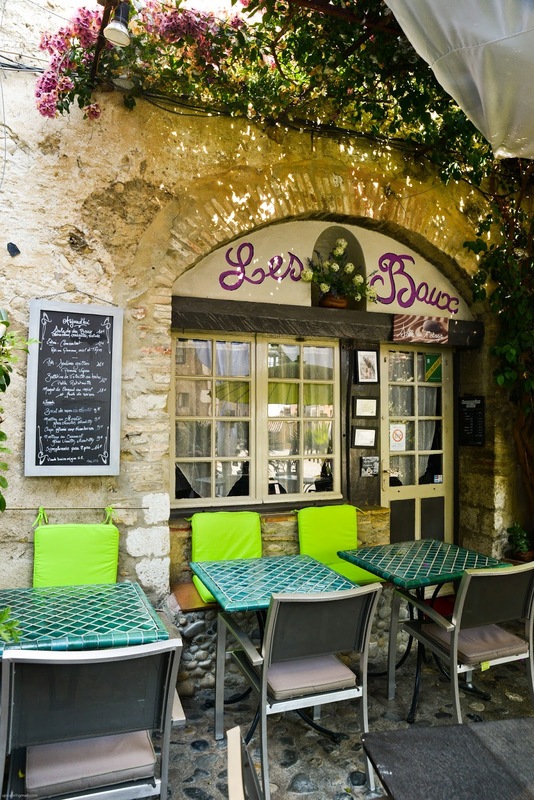 Postcard perfect cafes and bistros dot the cobblestoned alleys and sit prettily below rustic Mediterranean homes with prismatic windows filled with blooming bougainvilleas. The food is exquisite speaking for the freshness of the ingredients and the ambience is spirited reflecting the joie de vivre of Provence! While the Riviera itself was glitzy and flamboyant (more on that later) these tiny hamlets have managed to retain their primeval appeal and rustic elegance. 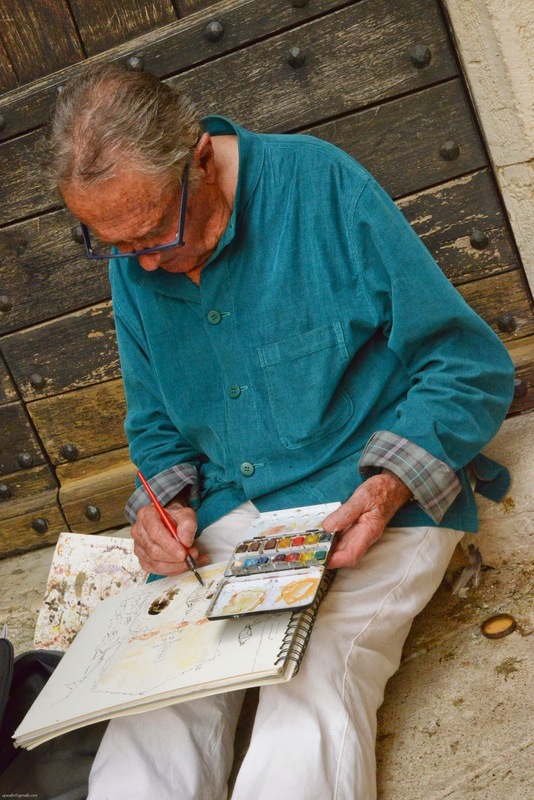 They managed to win the attention of masters like Monet, Renoir, Gaugin and Van Gogh back in the day. 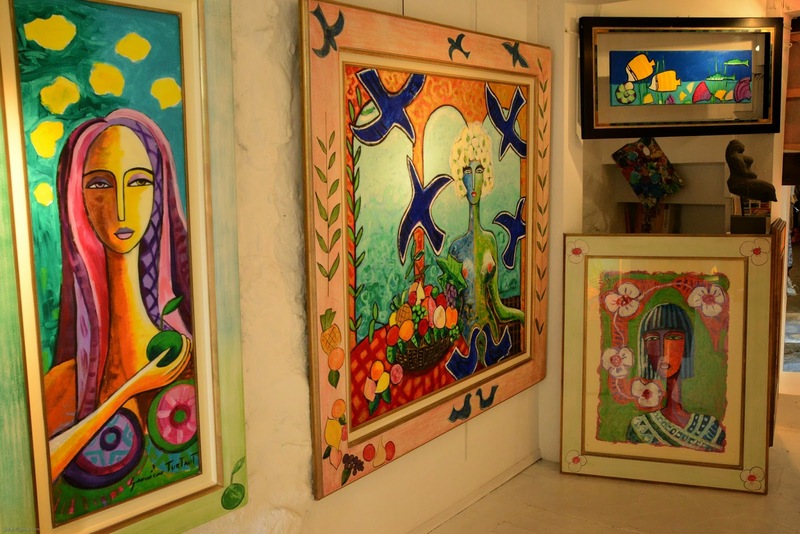 Art and artists are relevant to Provence even today making it so culturally rich! 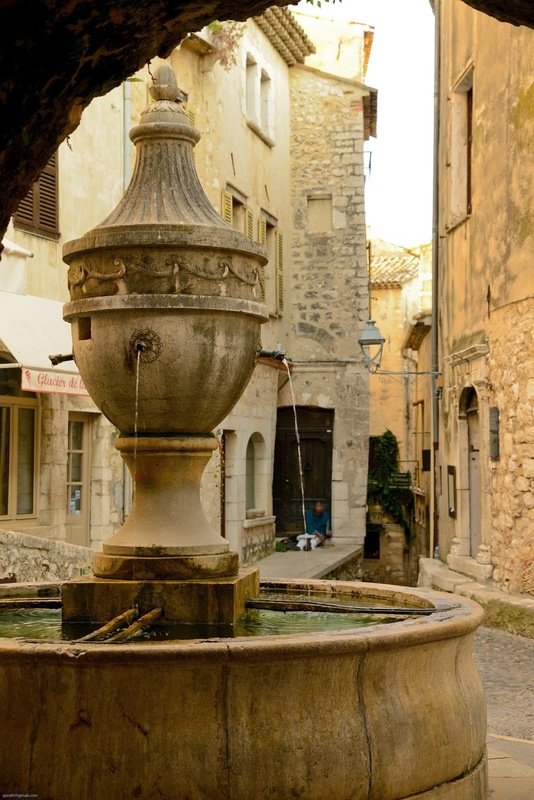 My secret love affair with Provence (and a lifetime of longing) made it a must see on our itinerary. And I am able to bring you some gorgeous imagery thanks to my husband’s perseverance! 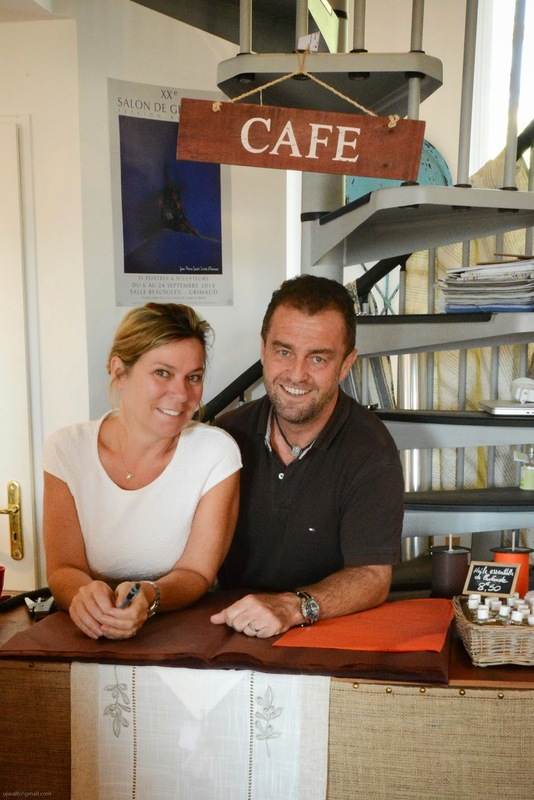 But before I leave, I want to share Virginie and Etienne’s darling little store in the village of Grimaud that overlooks the bay of St. Tropez (stop by if you are planning a trip to that part of the world). The shabby chic elegance of their store is to die for! 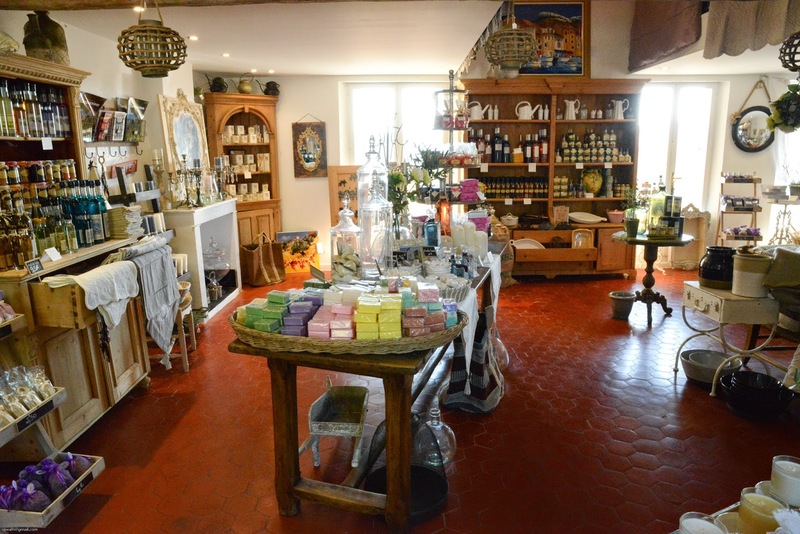 Selling everything from natural soaps to aroma oils to Provencal fabrics to dried herbs - this store is a shopper's paradise! 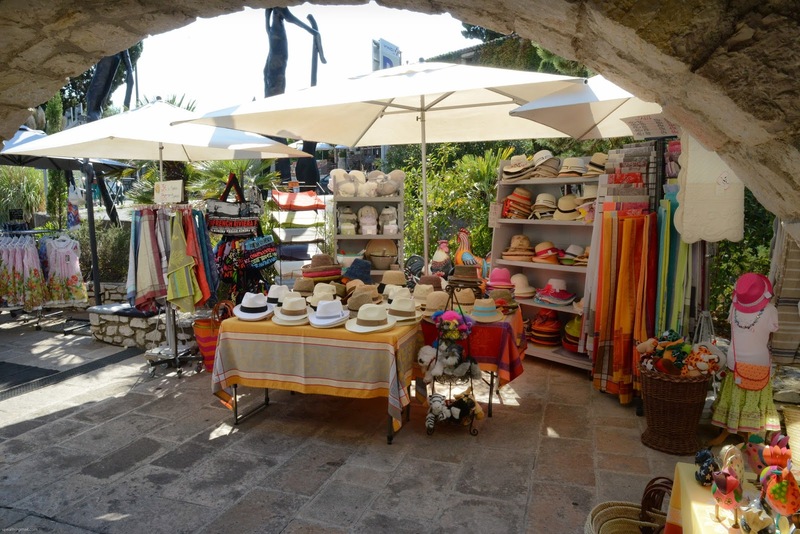 A great place to buy gifts for friends back home! For me, a visit to their store was more than just a shopper's pit stop. I will forever cherish the lively conversation we had with this adorable couple on Provence, French culture, and our mutual love for travel. UJ even managed to thread a few French words into broken sentence stems! 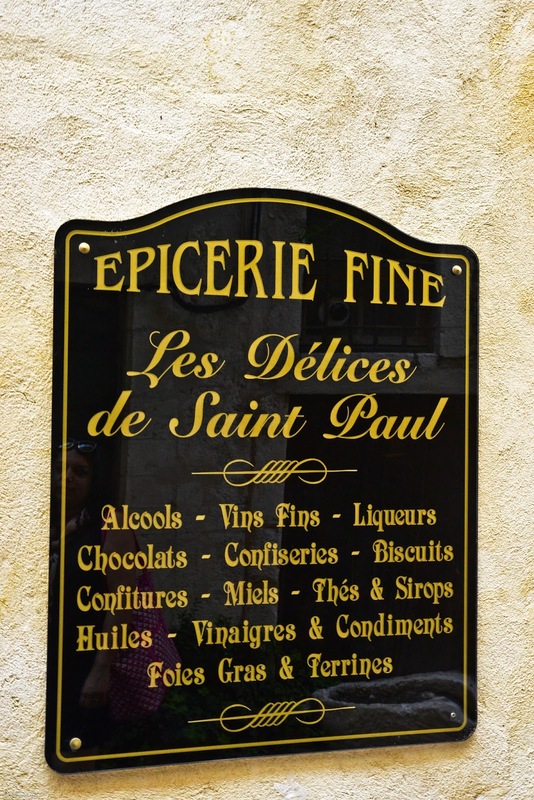 Thank you for telling me all I needed to know as a tourist – Merci Beaucoup! 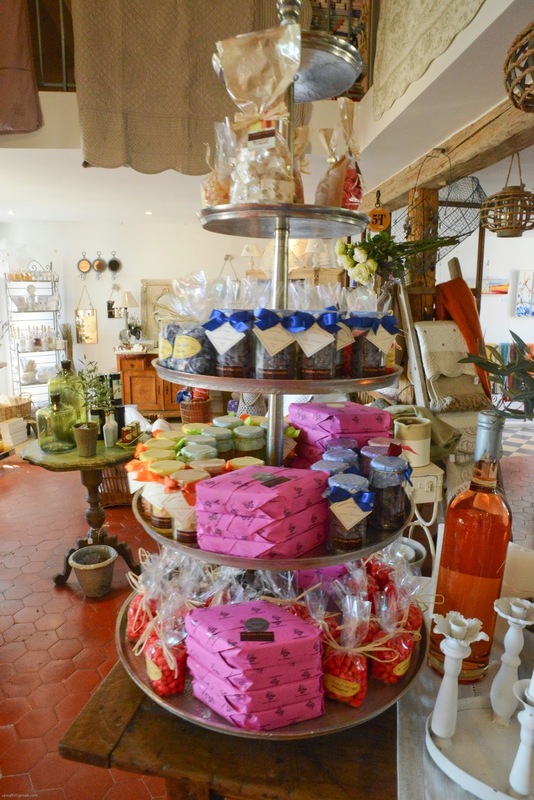 I hope you do realize your dream of opening your Provence store in New York someday Virginie – you know who will be a regular! 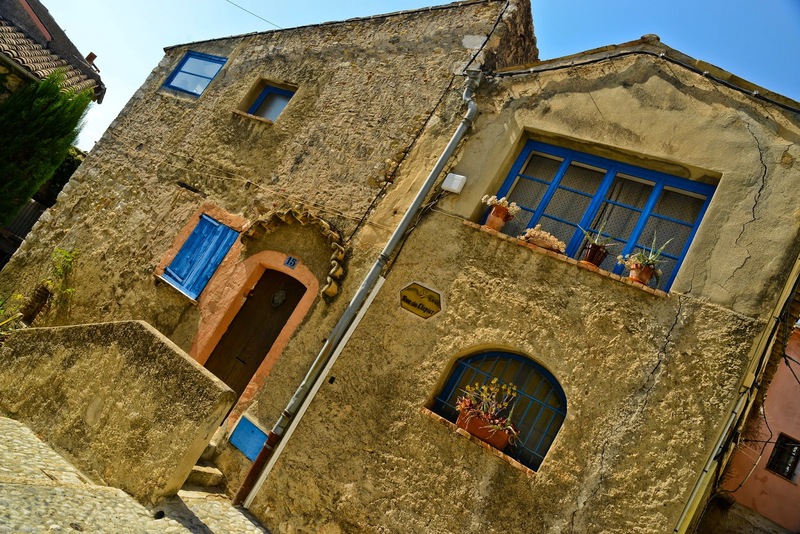 and for good measure - a couple more images of indelible Provence! 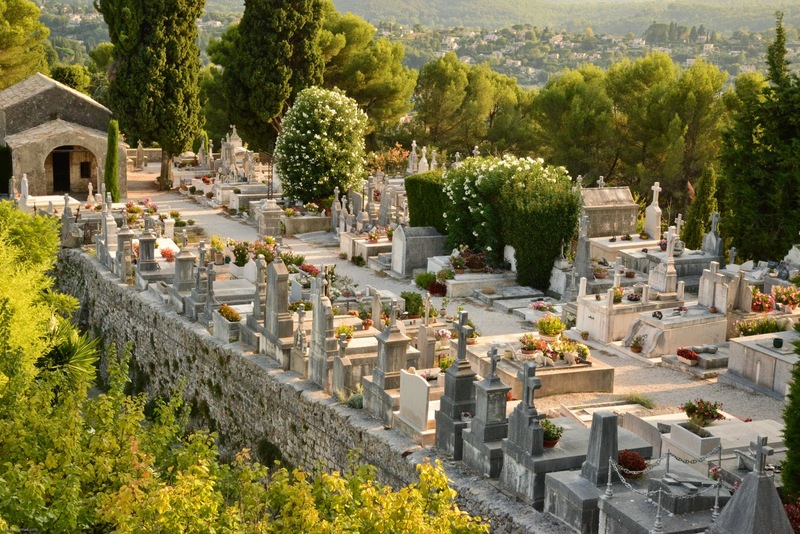 I hope you add Provence to your bucket list if you have not already visited. It is an experience of a lifetime! There is a nip in the air! The leaves are turning color and the season of celebration awaits us. Aalayam readers, as always we'll jump start your festivities with inspirations from our homes. Supriya is up first with her impressive Dasara Golu display. So, make sure to check back with us in a few days. 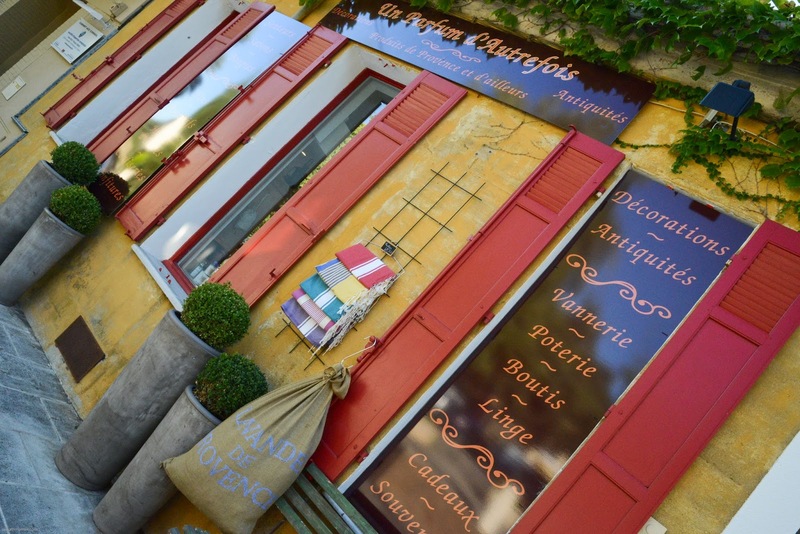 But for now, take in the sights of Provence and perhaps start planning your own vacation! P.S: All images in this post are from our personal archives and were shot by my husband. Use without permission is prohibited. Gosh...Amazing Deepa....I can only imagine how much you have enjoyed. On my must visit list now :) loved each and every pic!! Thank you Nayana. It was an indelible experience. Especially since I have wanted to go there for so long. Thank you. I will cherish Uj's captures as they are a fond reminder of our time there. Fabulous ! Loved the photos and the description, next best thing to being there :-) So glad you had such a lovely time ! Thank you K! you would have loved the shopping . I am sure you would have discovered some great treats for Kedgree! G - thanks for reading and taking the time to comment. You will love it. Start planning your trip soon!